This website has now transferred to http://greatwenlondon.wordpress.com/. Please update all links accordingly! I interviewed Peter Tatchell at his house in 2008 for a piece that was intended to be the first in a series on Living London Legends but never ran. It seemed appropriate to reproduce it now in LGBT History Month. The picture is courtesy of Ralph Erle (www.ralpherlephotography.co.uk). Tatchell works as hard at getting his message across as he does at getting it right. He’s been doing this for years – ’40 years an unpaid human rights activist’, he says. ‘Yes, it is a big commitment and that’s why I’m still living in the same one-bedroom council flat in Elephant and Castle.’ Tatchell’s office is his lounge, a living space reduced by two bicycles (‘very bourgeois’) and piles of literature on human rights. On the walls are large cork noticeboards covered in leaflets and badges: ‘Whores Against Wars’, ‘Rockingham Against Racism’, ‘Lesbians Support The Miners’: niche, witty, passionate. If you planned an exhibition about half a century of human rights activism in London, it would end up looking a lot like Peter Tatchell’s living room. Indeed, some of Tatchell’s personal history is loaned to Manchester’s People’s History Museum. Tatchell’s devotion to human rights began as a 16-year-old in Melbourne in 1967, with the case of Ronald Ryan, an Australian prisoner who faced the death penalty when he was accused of killing a warden during an escape attempt. Tatchell mounted a passionate defence of Ryan, graffitiing walls and writing to the press. His parents were horrified. Tatchell had been brought up in a strict Baptist household and even taught at Sunday School as a teenager, but he developed a different understanding of religion to his family. Under Tatchell’s influence, that changed. The GLF arranged sit-ins at pubs that refused to serve gays and lesbians; ‘zapped’ Professor Hans Eysenck, who adocated electric shock aversion therapy for homosexuals; and invaded Foyle’s on Charing Cross Road for selling books that the GLF considered to be homophobic. This partly changed in 1973, when Tatchell staged a one-man gay rights protest in East Berlin that ended with him getting interrogated by the Stasi and the bravery of which went some way towards challenging the homophobic mindset of the left. Similarly, his attempt to arrest Robert Mugabe in 1999 – ‘he was like a frightened 10-year-old boy’ – helped gain the respect of a right-wing establishment who had previously denounced him as a ‘homosexual terrorist’. The Telegraph even recently suggested he should be given a medal. Tatchell had more or less abandoned gay politics by this time, but he returned to the cause in the wake of the hugely controversial Bermondsey by-election. He says the ‘unwritten story about the Bermondsey by-election is that I was standing up against property developers for local working class communities.’ During it he was subject to homophobic abuse, much of it personal. 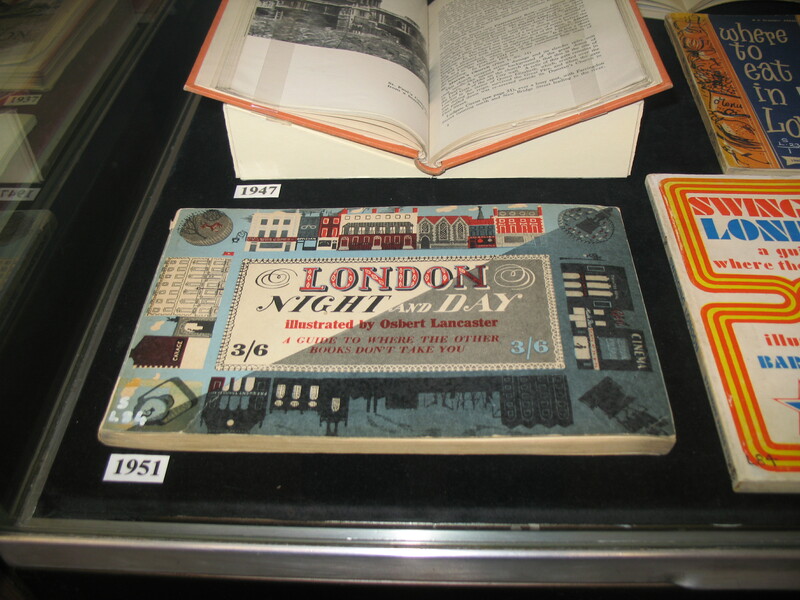 London guidebooks did not begin with Time Out or even Baedeker. There are thousands out there going back centuries, some aimed at specialist readers, others for a more general audience. I’ve got half-a-dozen myself and left around the same number behind at Time Out. Finding a great London guidebook isn’t as simple as it might appear. 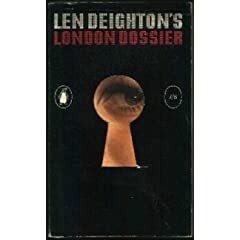 I’ve often found that the ones with the most enticing titles and covers – ‘Len Deighton’s London Dossier’ or Nicholas Saunders’s groovy ‘Alternative London’ – are the most disappointing, as they promise far more than they could ever deliver. But Another Nickel In The Machine‘s merciless deconstruction of Hunter Davies’s ‘The London Spy’ suggests I shouldn’t give up hope yet. And even the most mundane guide offers something for the diligent reader, even if it’s nothing more than a reminder of how rapidly London changes and how rarely it looks back in regret at what it has lost. A browse of 1986’s rather mainstream ‘New Penguin Guide To London’, for instance, left me pining for National Museum of Labour History, which was once based at Limehouse Town Hall and closed down the year the guide was published. Pick carefully and there is a rich seam here, so fans of the genre – and there are many of us out there – will want to head to the Guildhall Library before the end of March to see librarian Vicky Hurst’s small curated collection of 30 London guide books, dating from 1755 to now. 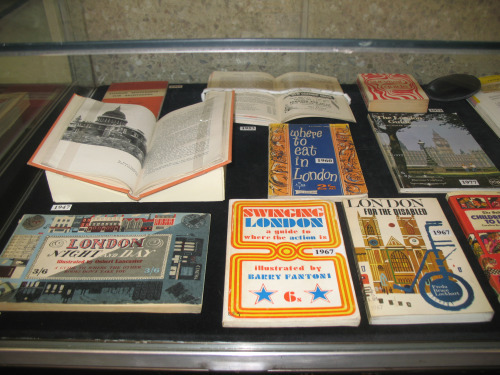 Among them are such appealing titles as ‘London of Today’ (1890); ‘Cooks’ Handbook for London’ (1902); ‘London for the Disabled’ (1967); ‘Swinging London: A Guide To Where The Action Is’ (1967); ‘Alternative London for Strangers: Survival Guide’ (1973); and ‘The Forest Guide to Smoking in London’ (1996). Split into two cabinets, the covers for the later ones are fab and I particularly loved Osbert Lancaster’s art deco cover for ‘London Night And Day’. The library has thousands such guides, as you would expect from what is perhaps the finest store of London books in the capital. No space in the display though for my two favourites. John Timbs’s ‘Curiosities Of London’ (1855) is a wonderfully thorough Victorian A-Z that sits somewhere between ‘The London Encyclopedia’ and a standard guidebook, as it features cornucopic history with some practical information and is very readable. However, having respected her wishes to keep schtum for nearly 24 hours, I can stay silent no longer. The pub has managed to secure an emergency license that allows them to serve booze from Friday to Monday, but during the week they have incorporated a bring your own bottle policy, as drinkers discovered when they turned up to the weekly quiz on Monday night and were then sent home to raid their own cupboards for leftover alcohol. The owners of the nearby Theatre of Wine can expect to make a roaring trade for the next month.